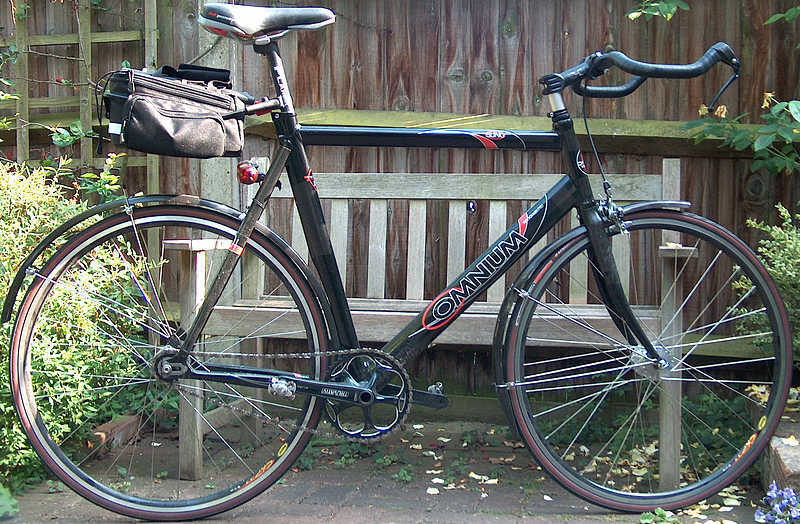 This is my workhorse which i hope will last me the next 30 odd years of my city commuting life and beyond. Phil Wood & CXP33 wheels. EAI cogs. 48:16 & 18 on the other side. 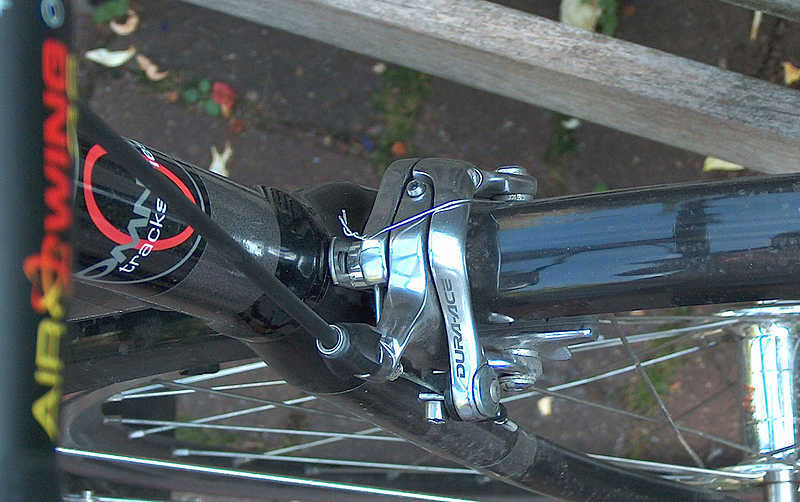 Full length mudguards - a mission to fit - with black zip ties and even two paperclips around the Dura ace front brake (in pic!). 175mm cranks. 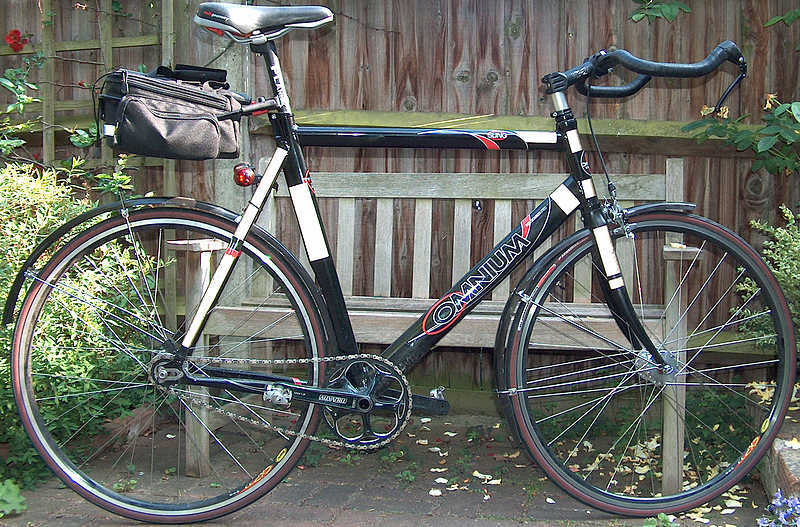 Profile airwing oversize bars. 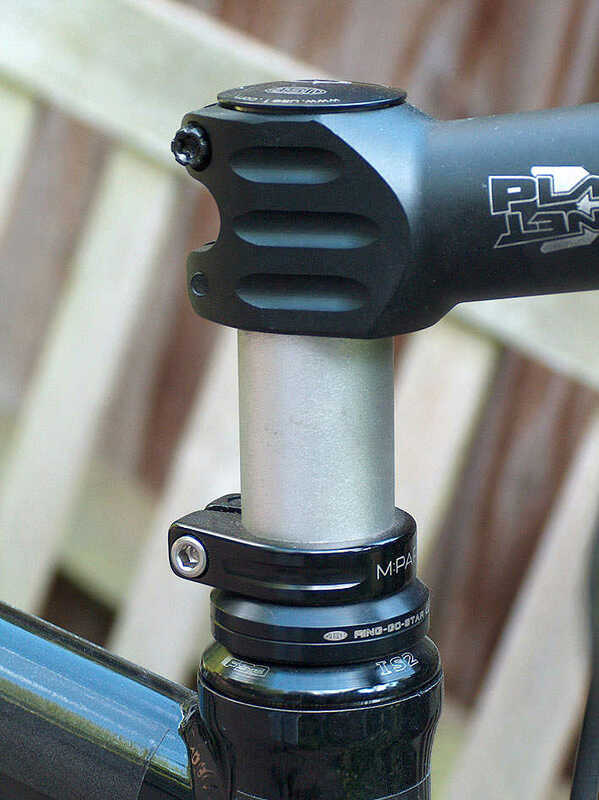 Planet X forks, stem & seat post (at £10 each!). Omnium sling frame cos it was cheapest large size available - i'm 6'3'' (and 85kg/187lbs - hence wheels, i've bust too many over the years, even careful mavic open pro/dura-ace...). All weighing in at just under 10kg. I like the fixed speed thing, my first fixed and i've done 3 months on it & 1,000+ miles & she's handling fine... i do travel faster to work and back now - IT makes me!! Good site, some mighty fine photos and bikes.